The King Fire smoke cloud. The smoke that rolled in on Sunday may stick around through Monday. The wind is pushing smoke up from the King Fire in El Dorado County east of Pollock Pines. CalFire and the U.S. Forest Service say the fire has burned 3,900 acres and is only 10% contained. 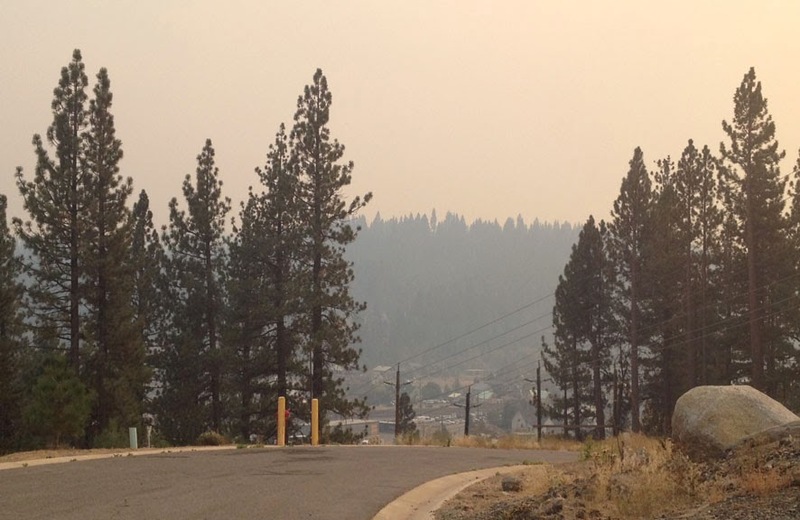 The King Fire started September 13, 2014 at 4:32pm. The fire is burning on both sides of the south fork of the American River. Mandatory evacuations include the areas: Estates at Forebay Road between King of the Mountain Road and Pony Express Trail, and all of Whites Meadows Road. 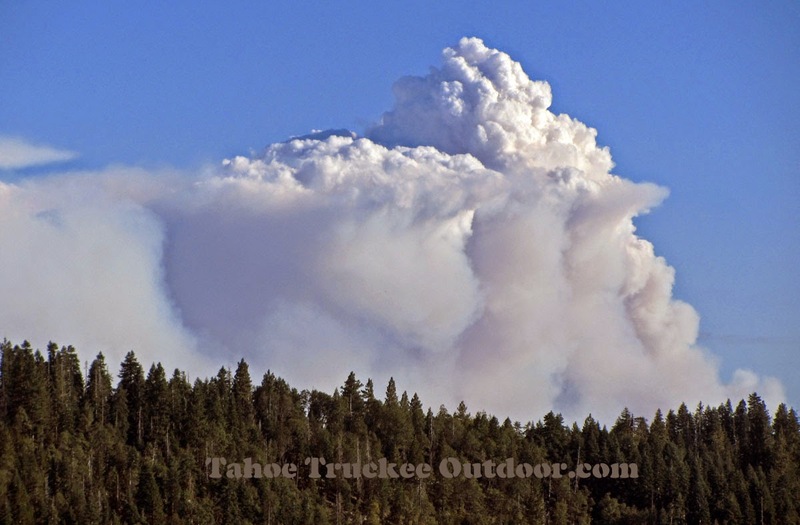 The prevailing winds are expected to continue pushing smoke into Tahoe-Truckee and down to Reno through Monday. Sunday afternoon smoke in Truckee.